The online version of this article ( https://doi.org/10.1007/s00415-018-9024-3) contains supplementary material, which is available to authorized users. This work was supported in part by funding to Forefront, a collaborative research group dedicated to the study of frontotemporal dementia and amyotrophic lateral sclerosis, from the National Health and Medical Research Council of Australia (NHMRC) programme grant (#1037746 to MK and JH) and the Australian Research Council Centre of Excellence in Cognition and its Disorders Memory Program (#CE110001021 to OP and JH). We are grateful to the research participants involved with the ForeFront research studies. RA is a NHMRC Early Career Fellow (#1120770). OP is a NHMRC Senior Research Fellow (#1103258). MI is supported by an Australian Research Council Future Fellowship (FT160100096). No author reports any conflict of interest. 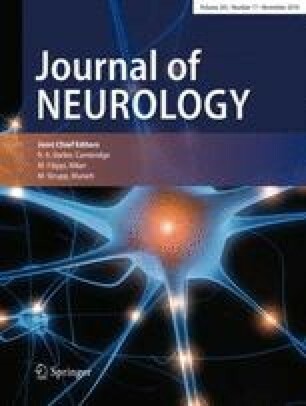 MCK is Editor in chief of Journal of Neurology Neurosurgery and Psychiatry.